It has come to the attention of our professional organizations that Allied is planning to close its Kansas City office in hopes that the St. Louis office can coordinate campaigns and screenings remotely for the Kansas City market. We object in the strongest possible terms and would like to lodge a formal complaint. We understand that the quickest way to balance a company’s budget in the short term is often through its payroll. As home to Hallmark, Applebee’s, Sprint, Teva, Cerner, and numerous other multinational corporations, Kansas City is well versed in business. But we see shortsightedness in closing Allied’s Kansas City office that not only undervalues our local film market, but also undermines Allied’s ability to serve its clients—especially since there was no slowing down of business being done here. The continued growth of the Kansas City suburbs means that our population has been outpacing St. Louis’ modest growth by 2.4%. Thanks in part to newly revived arts, marketing, and technology scenes, Kansas City is now number one on Huffington Post’s coolest places to live, among other media outlets that compliment our hometown this way. It performs better in film attendance as well, and has always been known as a fertile test market for studio movies. Kansas City boasts a zealous and cohesive film community, serving as the headquarters for AMC Theatres in the U.S. The Kansas City Film Critics Circle, founded in 1966 and second only to the New York Film Critics Circle in age, has more active members than the St. Louis Film Critics Association, which was founded in 2004. Many of Kansas City’s critics are longer tenured, better connected, and have a larger reach than those in the St. Louis area. Our critics also serve most of Kansas, Arkansas, Nebraska, Iowa, parts of Oklahoma, and Eastern Missouri. 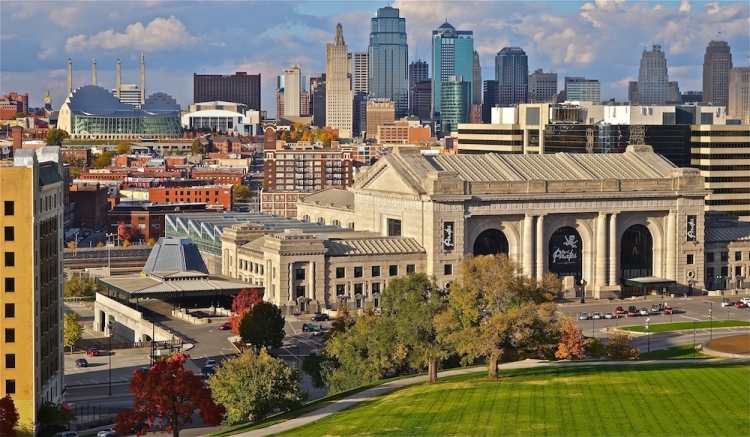 Allied’s Kansas City office is critical to continuing the work which your clients also rely on. The Kansas City Allied office also coordinates with the various film organizations in town. From Kansas City Women in Film and Television to Independent Filmmakers Coalition Kansas City, Film Society Kansas City, CinemaKC, to the Kansas City Film and Media Office, Allied’s Kansas City office has been critical to coordinating events with these organizations throughout Kansas City and the surrounding regional area. These are all organizations that have a vested interest in the success of film at all levels. Ultimately the Kansas City office is here to support the needs of Allied’s clients. Many studios see Kansas City as a supportive mid-sized market that continues to grow. The cohesiveness of the film community has and continues to benefit Allied in its pursuit to promote films across a wide spectrum of interests and age ranges. Since we feel that closing the Kansas City office makes any relationship with Allied more difficult, this will directly impact the studios distributing these films. Kansas City is a larger market than St. Louis, which translates into approximately 1.5 million (out of 2.3 million) people who see films one to three times a month that will not be approached in the vigorous manner that has been the precedent. We feel that it is in the interest of the studios and Kansas City’s movie-going public that Allied maintain its Kansas City office, which has been more than conscientious, and has always gone the extra mile to work professionally and efficiently with the local film community. We, the undersigned, feel that closing the Allied - Kansas City office will negatively impact the local film and media community, leaving Allied's clients underserved and leaving behind a huge opportunity for continued growth of this important film market. The Keep Allied - Kansas City Open petition to Kansas City media professionals was written by Eric Melin and is in the category Arts & Entertainment at GoPetition.